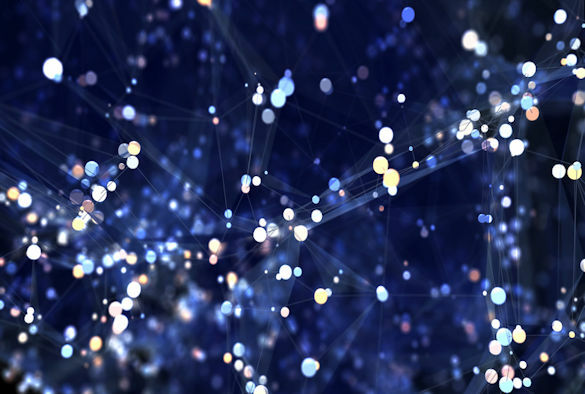 The University’s expertise in data science has been recognised with a double success in the EPSRC’s “New Approaches to Data Science” funding call. The University is leading one of the five projects being supported by the EPSRC and is a partner in another. Professor Simon Maskell, who heads up the Liverpool Big Data Network and is based in the Department of Electrical Engineering and Electronics, is leading a £4million research project that aims to harness the power of emerging hardware (such as graphics cards) to significantly reduce the time it takes to unlock the latent value present in difficult data sets. The ‘Big Hypotheses: A Fully Parallelised Bayesian Inference Solution’ project involves a number of partners including the Science and Technology Funding Council’s Hartree Centre and IBM Research. In addition to this, researchers from the University‘s Department of Computer Science and Materials Innovation Factory are partners in the ‘Centre for Topological Data Analysis’ project, which aims to drive the development and application of topological data analysis to solve real world problems. Dr Vitaliy Kurlin, a Senior Lecturer in the Department of Computer Science and Data Scientist with the Materials Innovation Factory, is the Liverpool lead on the project which draws on Liverpool’s expertise in new computational methods for faster data processing, alongside materials science expertise provided through the Materials Innovation Factory. Announcing the successful project, Universities and Science Minister, Sam Gyimah said: We know the data we hold can change the way we live our lives and these important research projects will help us better understand the vast amount of data that is produced on a daily basis. Some of the best minds in our Research Councils and at higher education institutions will work collaboratively on these projects with industry and public bodies, helping to extract value and use data to assist with decision making. Through our modern, ambitious Industrial Strategy and artificial intelligence Sector Deal and Grand Challenge, we will build on our reputation as a world-leader in this transformative technology, ensuring we make the very most of our data output and help build a Britain fit for the future. To find out more about Big Hypotheses: A Fully Parallelised Bayesian Inference Solution’ research project. click here. To find out more about the `Centre for Topological Data Analysis’. click here. To find out more about the projects funded through the EPSRC `New approaches to Data Science’. click here. Find out more about the Digital research theme, click here.